MOSCOW, February 8. /TASS/. 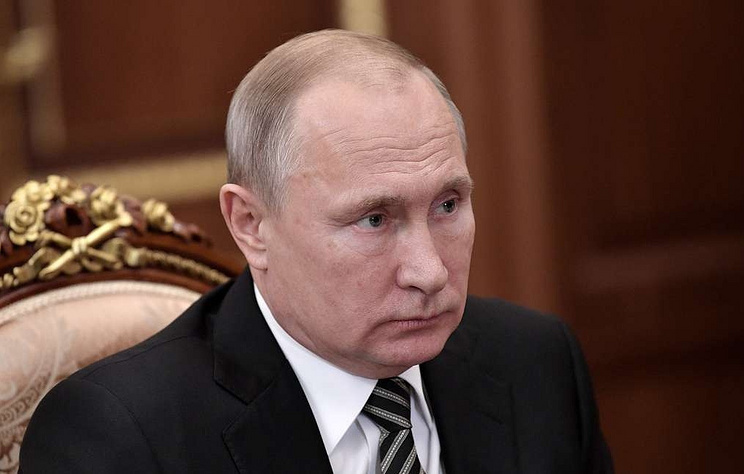 Russian President Vladimir Putin has signed a decree ordering the retirement of some generals serving at the Interior Ministry, the Investigative Committee, the Federal Penitentiary Service and the Emergencies Ministry. The decree posted on the official online portal of legal information on Friday says that the president sacked some senior law enforcement officers. Among them are three generals from the Interior Ministry, namely Major General of Police Sergei Solopov, head of the economic security and anti-corruption directorate of the Interior Ministry’s Main Department in Moscow, Police Major General Rafail Gilmanov, a deputy Interior Minister in the Republic of Tatarstan, and Major General of Internal Service Alexander Kuznetsov, a deputy head of the Interior Ministry’s Main Department in the Krasnodar Region. The list includes the names of two generals from the Russian Investigative Committee, which are Major General of Justice Irina Zeibert, the chief aide to the Investigative Committee’s head, and Lieutenant General of Justice Pavel Nikolayev, the head of the Investigative Committee’s regional department in the Republic of Tatarstan. A general from the Federal Penitentiary Service was also on the list, namely Major General of Internal Service Vladimir Nikiteev, the head of the Federal Penitentiary Service’s department in the Kirov Region). Besides, Colonel of Justice Alexander Rasstrygin, first deputy head of the Russian Investigative Committee’s Main Investigative Department in the Krasnoyarsk Region, was relieved of his duties. Moreover, three generals from the Emergencies Ministry were ordered to retire. Among them are Lieutenant General of Internal Service Sergei Didenko, head of the Emergencies Ministry’s Siberian Regional Center, Colonel General of Internal Service Igor Oder, head of the Emergencies Ministry’s Southern Regional Center, and Colonel General of Internal Service Igor Panin, head of the Emergencies Ministry’s Northwestern Regional Center, along with Colonel of Internal Service Nikolai Basov, first deputy head of the Emergencies Ministry’s Southern Regional Center. The Russian Emergencies Ministry’s regional centers were earlier reported to terminate their operation at the end of 2018.